Data transfer has been made easy with the help of USB flash drives and SD cards. With the help of these external storage devices we can easily carry and transfer large volume of data in a matter of seconds. But this convenience is always associated with security risks. That’s why it is always better to encrypt these storage devices inorder to protect the data inside. 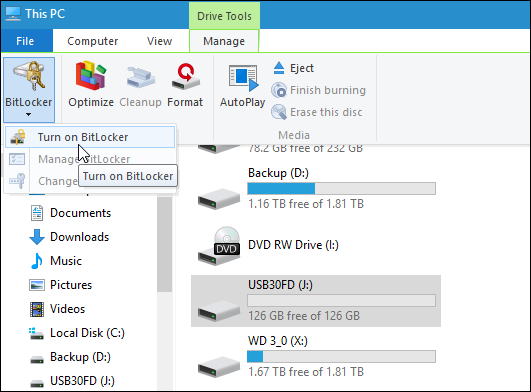 A tool named BitLocker made this easy in Windows 10. Unfortunately, this tool is available only in Windows 10 Pro version and is not available in Windows Home Version. In addition Windows 10 v1151 is loaded with much improved encrypting mechanism. First of all connect the USB drive to your system and stay idle till Windows identifies your drive. When Windows recognizes your drive, it will come up with AutoPlay option. Now you have to click and select Open Folder to View Files option from the AutoPlay. This will open up the files. There from the Ribbon, which is placed to the top of the folder, select the drive that you would like to encrypt. After that select Manage Tab and from the options, click on Bitlocker>> Turn on Bitlocker. Another option available is simply Right Click on the removable drive, from This PC. From the dialogue box, select the option of Turn On BitLocker. In either of the methods, BitLocker will open up. Check the box which says Use a password to unlock the drive. Now you are allowed to enter a password twice. After that you will be directed to back-up a recovery key. The recovery key consists of certain characters that will allow you to open the removable drive just in case you forgot the encrypting password. My advice, it is always better to type and save the recovery key to a file and keep it somewhere secured. This can be saved either to your Microsoft Account or to file or can be printed.Now you are allowed to select the limit to which you would like to encrypt the drive. You can either select the entire drive or the space upto which is utilized. After the November update Windows 10 v1511 consists of BitLocker with 256-bit XTS-AES encoding mode that will guarantee extra security support with enhanced algorithm. This option is not available in earlier versions of Windows. Here you are required to select the mode of use of the encrypting according to the use of the removable drive. If you are planning to use the drive only on your system, then it is advisable to use the NewEncryption Mode. But if you are using the drive on your PC and other PCs as well, then it is better to use the Compatible Mode, which functions on 128-bit AES. After selecting the mode, you will be encountered witha dialogue box containing the question, Are you ready to encrypt this drive? The time required to finish the encryption may vary according to the system specifications, amount of data involved and the storage capacity of the drive. So when you connect the encrypted drive to your PC or any other PC, you will encounter with the option of Enter the password to unlock this drive. There you can see other options like Enter recovery Key and check box which says, Automatically unlock on this PC. To know whether a drive is encrypted or not, just connect them with a PC. 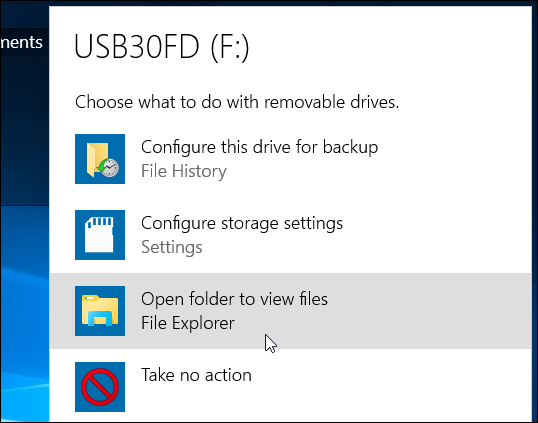 If the drive icon appears on This PC, contains a Lock Symbol, then it is understood that the drive is encoded, otherwise not.